I am writing this letter with my mind as full as my unpacked bags, with the memories I have made printed like tattoos behind my blinking eyelids, and with the scent of mosquito repellent still lingering on my coat. 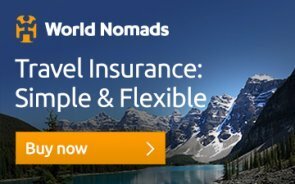 You aren't going to find any over used travel quotes littered across this page, and you certainly won't find any answers to humanity's great complex questions (but if you have them, feel free to leave your contact details below). I am not going to tell you about some brave, long adventure I took to the opposite end of the world. Instead, I am going to share some smaller yet equally valuable lessons I learned about a journey I took to my favorite place on earth- home. I just happen to be lucky enough to call Victoria Falls home. I have lived in Victoria Falls for my entire life, and at some obscure point in time, I stopped seeing all the small things that make it amazing. I never went to the rainforest unless family or friends were visiting, I found the elephant strolling across the road to be a traffic-jam causing nuisance, and I stared at the too-bright screen of my cellphone, lusting after the pictures other people were posting, while the most breath taking sunset was happening behind me. I decided to reclaim my sense of adventure in the middle of an espresso fueled night at university, sitting in a sea of crumpled scraps of paper, palms digging angrily into my eyes as I tried to chase away a sleep deprivation blur. One week later I was on the plane home, and this is what I noticed when I got off. The air in Victoria Falls greets you with a warm heavy hug, the sky seems higher up and the horizon feels further away. The flight marshals there don't smile as you lay eyes on them, they have been smiling the entire time, fueled by the contagious energy of the disembarking passengers. The road from the airport to town is lined with trees, a green curtain behind which wildlife roam. The small act of changing my outlook seemed to lift a veil that had been disguising the amazing sights and experiences as ordinary affairs. I went rafting and focused not just on the intense adrenaline rush, but also on the cavernous gorge we were travelling through. I admired its giant walls dressed in gravity defying trees, studied the subtle lines on the rock indicating different water levels throughout the year, and kept my eyes wide open at the scariest rapids so I didn't miss a single heart stopping moment. I did the gorge swing, leaving my doubts and fears behind on the wooden platform as I threw myself into masses of open air, a scream trapped in my throat, arms and legs flailing as they searched for something solid to rest on. I rode that high all the way through dinner at the Three Monkeys, laughing loudly and freely when the train screamed past, taking my laugh with it. When we went on a sunset cruise, I stood up from my seat and observed everything we passed, instead of brushing them off as something I had seen before. I let out an involuntary shudder at the scaly crocodile back emerging from the depths of the river, I giggled when hippo lifted an ear and then an eye out the water to see who was passing, and gasped with everyone else when they stretched open their enormous jaws as if showing off their yellowed teeth and pink tongue. A wave of serenity washed over me as I watched the sun dip below the horizon, momentarily turning the Zambezi into a river of golden lava, and leaving a sprinkling of tiny silver stars in its wake. I left my raincoat behind when we went to the rainforest, letting the plumes of mist erupt around me, drench my clothes and matt my hair to my face. I opened my heart to the roar of the cascading water, hearing it louder than ever before. I didn't shoo away the monkeys eyeing out our picnic, but laughed at their cheeky faces, recognizing that mischievous quality as something they share with humans. People will often travel to learn about the world around them, and for too long I made the mistake of thinking that somewhere I was so familiar with had nothing left to teach me. 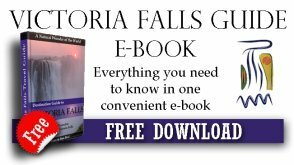 The truth is, there are one hundred lessons, stories and myths for every tree and animal in Victoria Falls, and another dozen friendly people willing to share it with you. Wherever you travel, do so bravely, with an open mind, a keen sense of adventure and a light bag. You may find that you leave with more questions than answers, self-diagnosed with the wanderlust bug. There is no cure, and no reason to want one. I have no doubt that I will visit many places in my lifetime, but Victoria Falls will always be the place I crave the most. 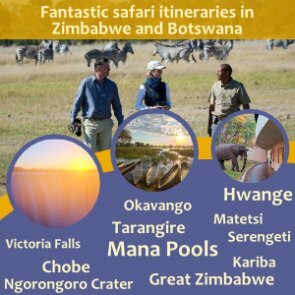 Get in touch with the Victoria Falls Travel Guide today to book your own adventure. Click here to return to Interesting Articles.